Found a great place to run this thing, but its all on-road. Abandoned 2+ acre parking lot right by the water. Yeah its not easy to find a good place to run the Baja around here, I used to do it a lot right by my house in Tilden park in the Berkeley hills, but apparently it's illegal in the park, almost got a $400 ticket but thankfully the ranger was nice and just warned me. yeah thats cool. 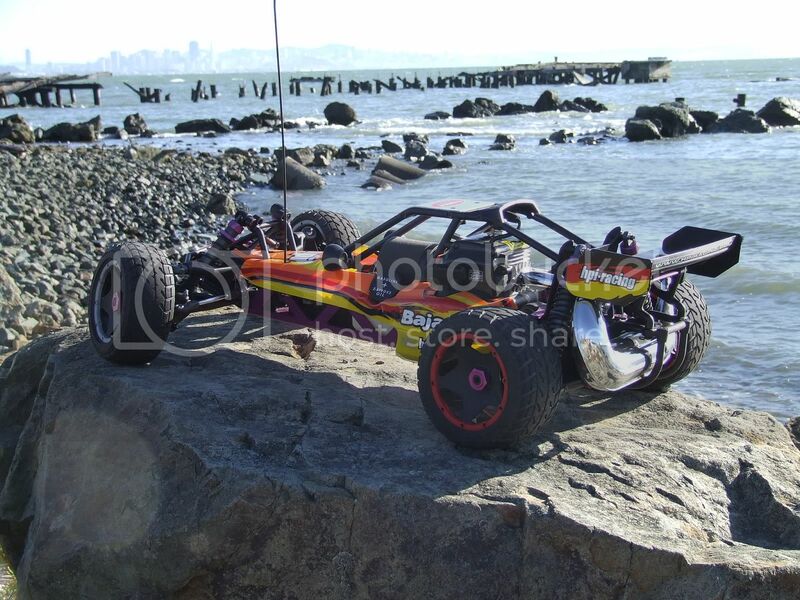 Sand is one thing I've yet to even try my baja on, dont even own the right tires.